I guess I can't stay away from you New York! The reason that I had to comeback in The Big Apple was a invitation to take a closer look of BCBG Max Azria, Herve Leger and BCBGeneration Fall collection preview. I also received a few more invitations but I couldn't go in NY for each one :( but I was happy to attend this one. Here you can see my travel outfit with popping accessories, white jeans and a striped top. More photos from this mini trip in New York soon! cool look, your bag is so fun. I really liked this look! It’s sort of futuristic yet classic, and very sleek! I love this whole outfit but the accessories are my favorite part!!! 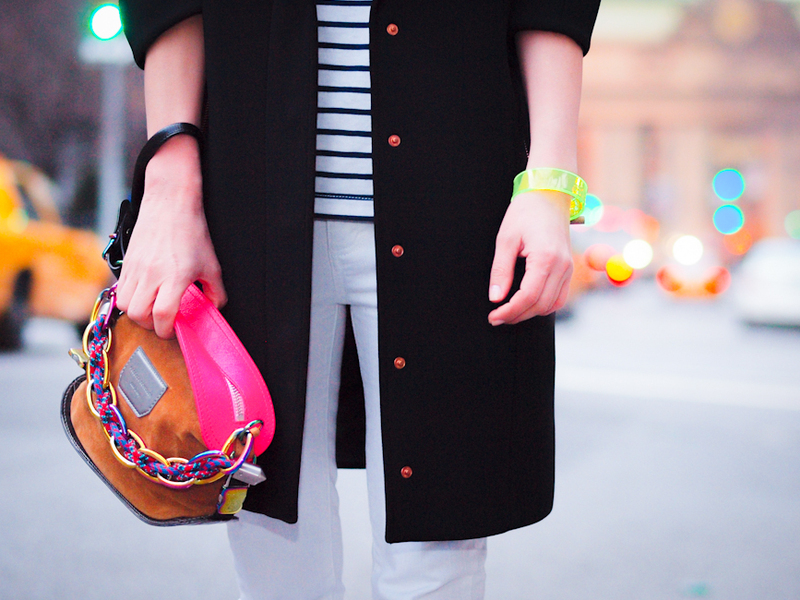 in love with the bag and the neon bracelet, really gorgeous! Such a great look! Loving your coat and shoes!! Jealous you’re in NYC! Sounds like a blast! Hey! Just came across your blog and it rocks! I really enjoy reading it! 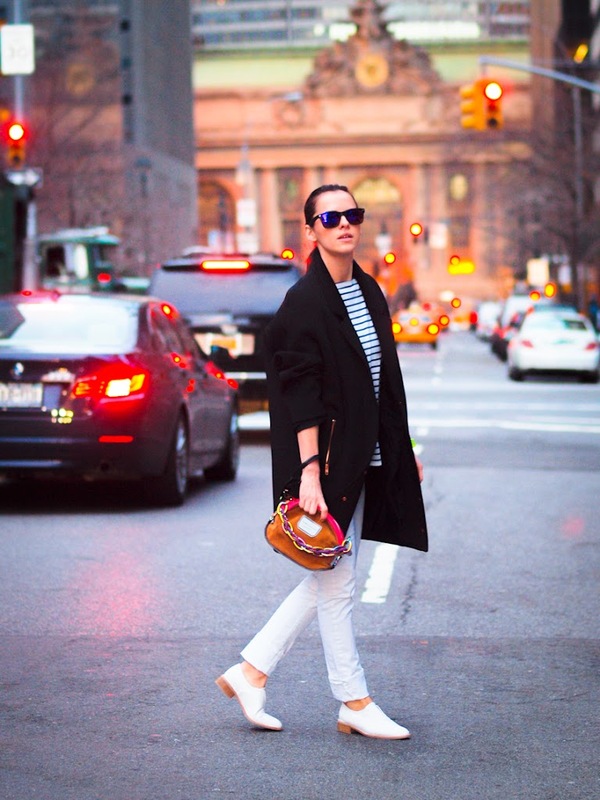 This bag is incredible – great post! Love the pop of color on black and white! !